With over 15 years of financial service industry experience, Misty is a Client Services Manager in the Firm’s Virginia Beach office. 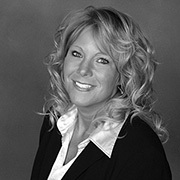 She works alongside Kevin Shea and Jeffery Gump as a liaison to ensure seamless coordination of the services Cherry Bekaert Wealth Management offers to its financial/estate planning, insurance and investment clients. Misty is also the main point of contact for clients, and takes great pride in cultivating positive client relationships. She enjoys and values the opportunity to work with each client on their own unique journey to achieving and fulfilling their financial goals.